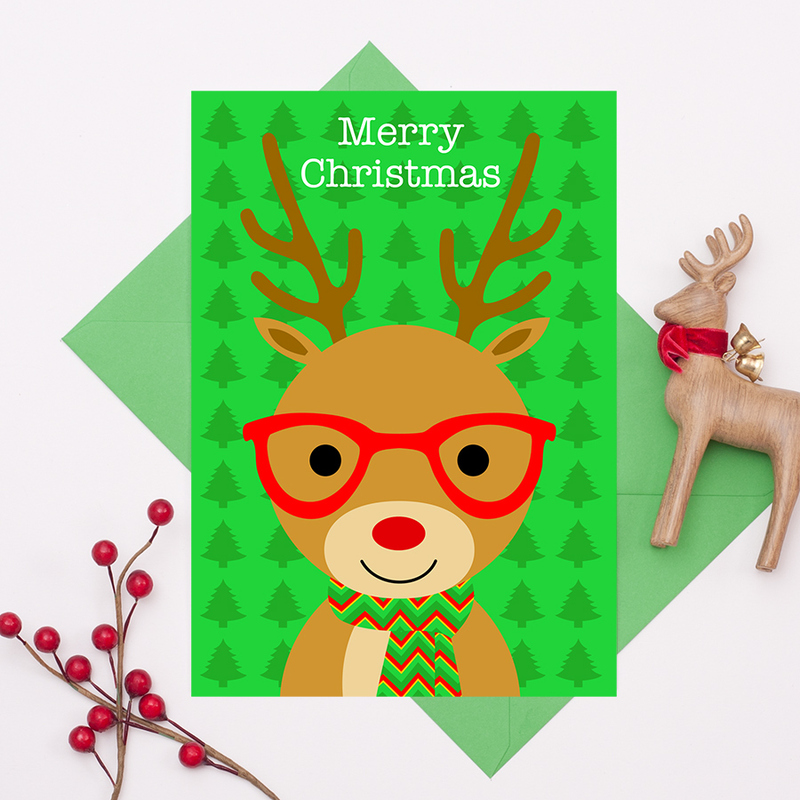 These Christmas animals wearing great big glasses are so cute for this festive time of year! 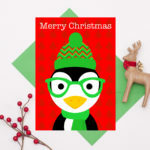 A fun and colourful set of Christmas cards, especially great for kids. 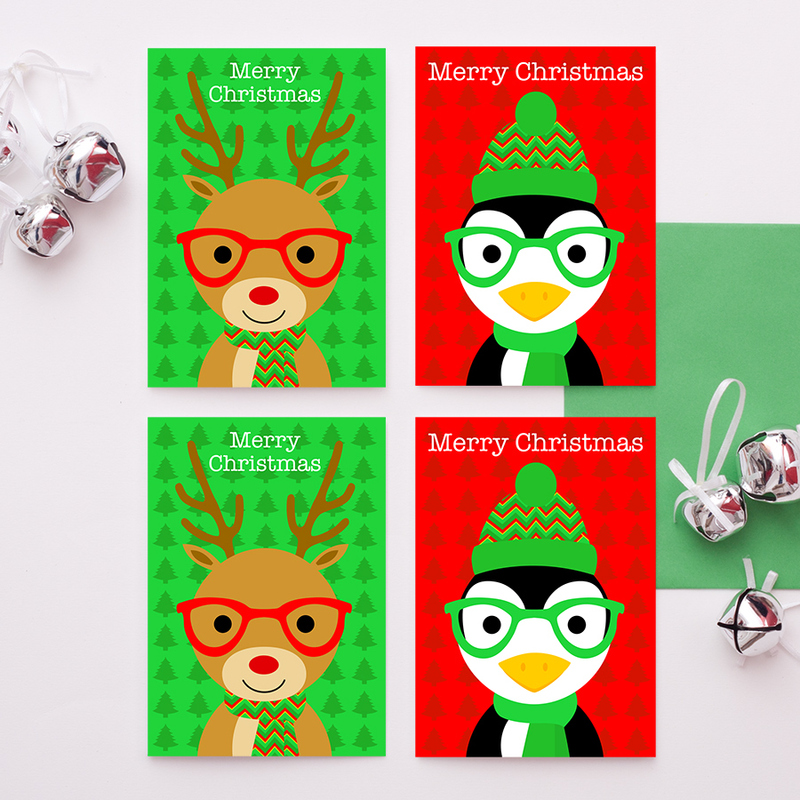 The pack of four cards features two different designs; two ‘Merry Christmas’ reindeer cards and two ‘Merry Christmas’ penguin cards. They are A6 size and are blank inside for your own special messages. These designs are also available as a single A6 card and a single A5 card (which can also be personalised). 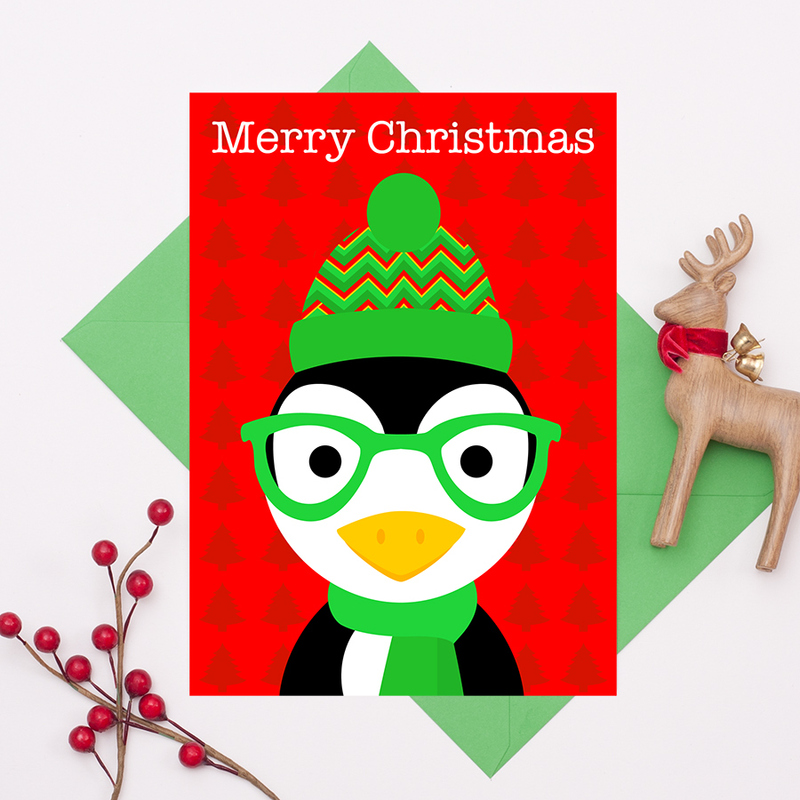 Be the first to review “Reindeer And Penguin Christmas Cards – Pack Of 4” Click here to cancel reply.